Now that we have entered fall, you may have noticed the flurry of wedding activity slowing, with the cold weather, it´s perfect to have these rustic wedding decorations. Summer is the most popular time to get married, and if you plan to get married during that time, you will be paying a premium for your entertainment, catering, and venue. However, if you would like to save money on your wedding (and who wouldn’t with the average wedding in 2011 costing around $27,021 according to the Huffington Post), carefully choose your wedding month. Choosing a time to get married when others don’t is a great way to save money. With a little research, you can determine the least popular months to get married, which may offer you the best bang for your buck. Traditionally, summer is the most popular time to get married, but if you think simply moving your wedding to the fall is best, you would be wrong. Other engaged couples are choosing fall weddings to get a discount on fall travel when taking their honeymoon and to take advantage of the cooler weather. According to the Huffington Post, 37% of 2011 weddings took place in the summer, while 36% took place in the fall. In much of the country, the least popular months to get married are between December and March with January being the least popular of all of the months. However, even within these months, there are certain popular wedding times that you will want to avoid. For instance, New Year’s Eve weddings are rising in popularity and Valentine’s Day weddings are also popular. Save on venue and services—Popular wedding venues may slow down dramatically in the winter months, so you can often negotiate a lower price. Likewise for wedding services. Your favorite bakery may be too swamped in June to make your cake or have to charge you a premium, but in January, they may be glad for the business. Save on decorations—My friend got married on December 23rd, and she didn’t have to pay any money to decorate the church because it was already beautifully decorated with many poinsettias and lighted evergreen trees for the Christmas services. The largest potential pitfall of a winter wedding is the weather. If you live in a cooler climate, plan a winter wedding with caution. My coworker got married in mid-January, and unfortunately, a record breaking blizzard came the day before her wedding. She and her husband were able to get married by the minister, but none of their out of state guests could make it to the wedding because flights were cancelled. If you are adventurous and willing to brave potential weather difficulties, you could slash thousands of dollars off the price of your wedding by marrying in one of the least popular months for weddings. 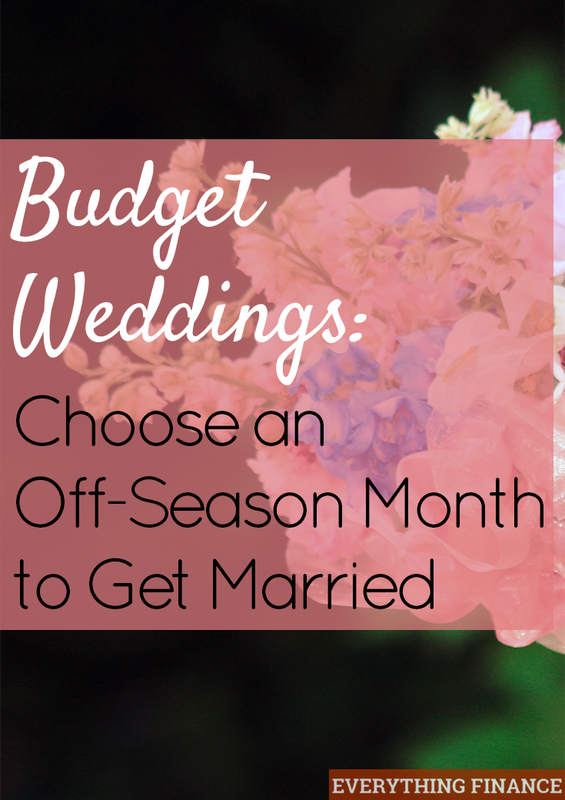 Were you married in the “off season?” What was your experience? What Are the Benefits of Shopping Your Favorite Products Online?